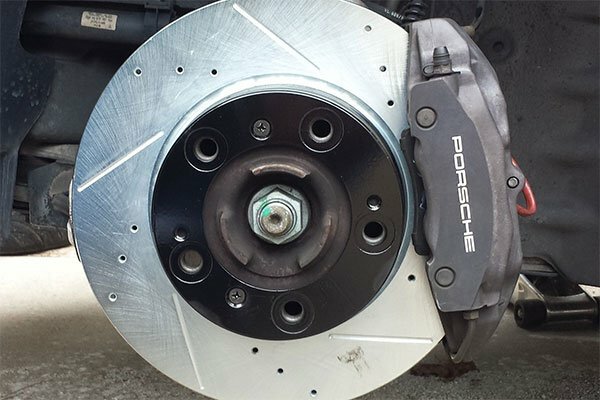 Take your stopping power to new heights with a Power Stop Z23 Evolution Brake Kits. Featuring custom-matched components that work together to ensure optimal performance, these kits include everything you need to experience faster stops with no brake noise and low dust. 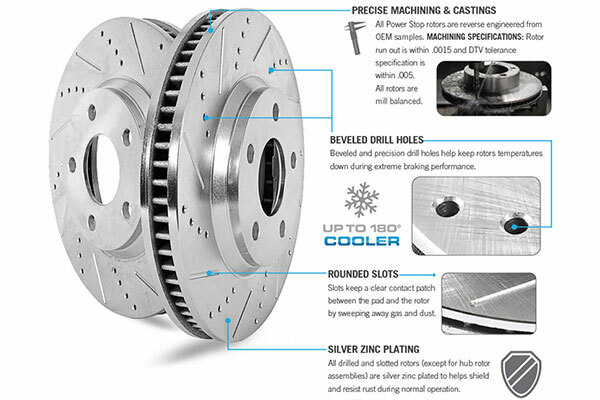 Ceramic pads for example deliver 20% more stopping power when compared to stock components and the drilled and slotted rotors have been constructed with G3000-grade casting and utilize beveled drill holes that reduce brake temperature up to 180°F. You also have the option to add calipers that showcase an electrostatic red powder-coating for a sharp style and corrosion resistance. These calipers have been 100% pressure-tested to ensure the quality performance you’ve come to expect from Power Stop. Your Power Stop Z23 Brake Kit is supported by a 3-year/36,000-mile warranty against defects, as well as a 60-day hassle-free warranty. 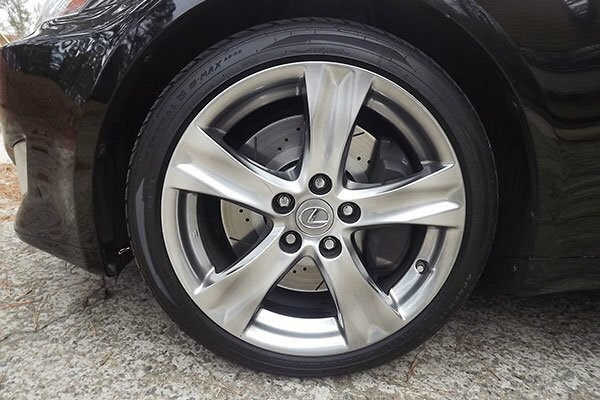 For the enthusiast that wants to get the most out of their vehicle without sacrificing everyday drivability, we offer Carbon Fiber-Ceramic Z23 Evolution Sport Brake Pads. These pads resist fade up to much higher temperatures than OEM pads. A premium stainless steel hardware kit and bin bushings are included where applicable. Ceramic brake lubricant is included in every brake pad set. 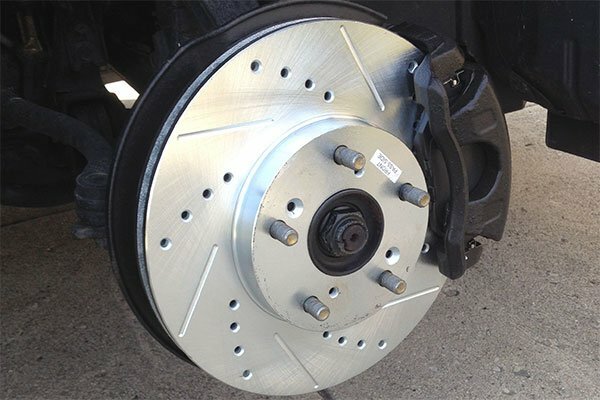 Say, “Goodbye” to that nasty brake dust! All Power Stop Carbon-Fiber Ceramic brake pads feature a dust-free friction formula.